When your kids go to bed with a bottle full of milk or juice, the sugars in these drinks remain on their teeth for hours. This can lead to dental decay and discolored teeth over time. 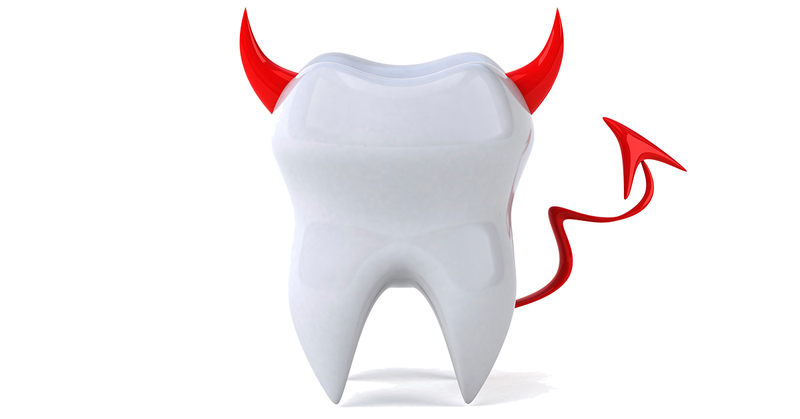 So how do you cure bad dental habits like this in your child? Simply rinse their mouth first thing in the morning to remove the sugars from the surface of teeth. You can also add water to their nighttime juice to lower its sugar content. Parents are often talking about thumb sucking when they ask about how to cure bad dental habits. It’s such a common childhood habit that many parents assume they just have to wait until their child outgrows it. But if it becomes a regular habit, it can cause teeth to shift forward and misalign a child’s bite. This can lead to problems with chewing, talking, pronunciation, and cleaning, which could require orthodontic treatment. Parents teach kids that brushing their teeth is part of good dental care. But since toothpaste tastes good, kids often swallow it as if it were candy. Many parents think this is harmless and are just happy that they’re kids are brushing their teeth and practicing good dental care. But it’s actually one of the most troubling bad dental habits because excessive intake of fluoride through swallowing can cause brown spots on the child’s teeth called fluorosis. Proper dental care should begin at an early age to allow you to prevent bad dental habits from developing. Some of the first few dental habits you teach your child are brushing and flossing. Unfortunately, sometimes they are too rough when they brush, which can do great damage to their tooth enamel. And some children avoid brushing altogether by having a tantrum when it’s time to clean their teeth, which leads parents to try to figure out how to cure bad dental habits like these. The solution is to make brushing a fun experience and teach kids that they’re responsible for their dental care. You could have a dance party while brushing, reward kids for their efforts, and carefully explain to kids why good dental care is so important.